An “ambitious...deep history and a thoughtful inquiry into how the constitutional system of checks and balances has functioned when it comes to waging war and making peace” (The Washington Post)—here is the full, compelling account of this never-ending debate. In this “vivid…rich and detailed history” (The New York Times Book Review), Waging War shows us our country’s revered and colorful presidents at their most trying times—Washington, Lincoln, Theodore Roosevelt, Franklin Roosevelt, Truman, Eisenhower, John F. Kennedy, Johnson, both Bushes, and Obama. Their wars have made heroes of some and victims of others, but most have proved adept at getting their way over reluctant or hostile Congresses. Donald Trump will face this challenge immediately—and the Constitution and its fragile system of checks and balances will once again be at the forefront of the national debate. 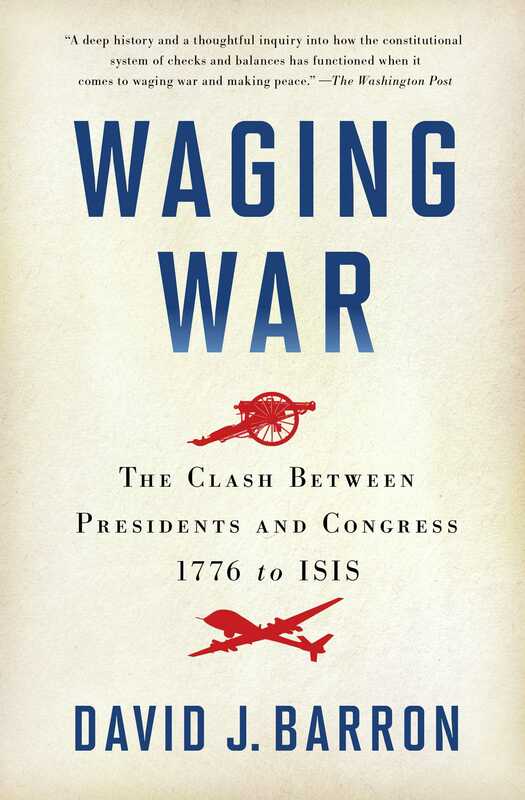 More essential than ever, Waging War is “both timely and timeless” (The Boston Globe). As much as Ambrose Serle had reason to wonder about the kind of rebel military leader the British were about to confront in New York, the object of Serle’s gaze had plenty to occupy his own mind on that July day in the summer of 1776. The commander in chief of the Continental Army, General George Washington, was under no illusion about the threat his men faced. The Americans were badly overmatched. A fleet of more than one hundred of His Majesty’s warships was massed just offshore. British general William Howe’s skillful brother, Admiral Richard Howe, was in command. The rebels, by contrast, had no navy. They could barely even field an army. And so, while Ambrose Serle reflected on Washington’s supposedly sweeping powers, the American general had other concerns. He was dreaming up daring plans for victory. He was also plotting his escape. Assuming, that is, such a choice of tactics was even General Washington’s to make. As a practical matter, Washington was the chief commander in the field. If he was of such a mind, he could always choose to do what he thought necessary and then dare the Continental Congress to question him after the fact. Congress was in Philadelphia, after all, and so poorly positioned to second-guess his judgment in the field. But, even at this earliest stage of American government, Washington sensed that there was peril in waging war on terms his Congress did not accept. And the instinct to stay in line with Congress would guide Washington when the time came to make the crucial tactical choice that the British assault on New York would force him to make. If the British attack proved as ferocious as Washington expected, then he resolved, he would send his troops to safer ground. If need be, he would even direct them to abandon the city outright. In preparing for just that outcome, he had already taken the precaution of sending his personal papers—gathered in a large box, secured with nails—to Philadelphia for safekeeping. But Washington had to decide more than whether to make a last stand. He also had to decide how his men should go about withdrawing from the battle if he determined, as seemed likely, that retreat was the wiser course. That part of the decision was more complicated. A clean retreat was certainly a possibility. It would ensure the troops could live to fight another day. It would also avoid a host of difficult judgments. But New York was no ordinary city. It occupied a vital strategic position. And it had great symbolic importance. Once in British hands, the city’s loyalist leanings could make it the center of the effort to beat back the rebellion. Washington’s advisors had been warning for months, therefore, that the city must not be left for the British to occupy. As early as January of 1776—and thus well before the first British ships appeared off Long Island—the American general Nathanael Greene had implored Washington to “Burn or Garrison the City.” Greene later narrowed that choice when he realized how futile garrisoning would likely be. Arson, he later explained, was Washington’s only option. There was precedent for Greene’s proposal. Rebel soldiers had set fire to villages in Indian country and in Canada. It would be easy enough to do so now. Washington, as commander in chief, would order his officers to set fires strategically throughout Manhattan. The army would head for White Plains. From there, the soldiers could watch the conflagration before moving out for good. Washington knew, however, that he needed to convince more than sympathetic New Yorkers or the amorphous court of world opinion. If he wished to burn the city to the ground, he also would need to persuade the institution to which he owed his command. The Continental Congress was an unusual body—and a maddeningly disorganized one as well. Working out of a plain brick, two-story building in Philadelphia, Congress was made up of representatives from each of the newly united colonies, a collection of more than fifty people on the rare occasion when they were all assembled. A Massachusetts native, John Hancock, served as its president. But Congress could act only if a majority of its members agreed. And so, in the words of one delegate, the Continental Congress was neither fish nor fowl. It was a “deliberating Executive assembly,” and it blended the functions of democratic government in one unwieldy revolutionary body. Still, the mission of Congress was clear: to win the war for independence. Congress eventually established a rudimentary bureaucracy to aid its work. Congress would sometimes send its Board of War to the front so that its members could consult directly with General Washington. That board would even give Washington directives on the spot, a practice foreseen by the congressional order that commissioned him as the commander in chief. Washington treasured this document. He did not part with it—even in battle—during his time at the helm of American forces. But that did not mean General Washington enjoyed the tight congressional control that his commission contemplated. He could be a devastating critic of Congress’s inefficiency, and an effective bureaucratic infighter if necessary. Even by the time of the crisis in New York, Washington had succeeded in convincing Congress to expand his powers in important ways. But the leash remained in place, and Washington knew it could be pulled at any moment. Hancock and his fellow members of Congress were far from the battlefield when they received Washington’s letter and the leading question that it posed. They knew that if New York fell, Philadelphia could be next. From their remote vantage point, there was more to consider than the struggle for terrain and temporary tactical advantage. There was also the fight for the hearts and minds of the American people and for the international standing of a government bidding for admission into the community of nations. It was the Americans who had consistently condemned the British for burning cities—from Charlestown, Massachusetts, to Jamestown, Rhode Island. One had to look no farther than the Declaration of Independence—the very document that helped to precipitate the British attack on New York. That document listed as a leading grievance the fact that the king had “burnt our towns.” More practically, the members of Congress wondered whether New York’s importance actually provided a reason to spare it rather than lay it to waste. To destroy such a valuable city so early in the conflict would hardly reflect the kind of confidence in ultimate victory on which a successful rebellion depended. And what if the rebels later gained the upper hand as the war progressed? Wouldn’t the rebels come to regret the destruction of their former stronghold? Hancock and the other representatives knew that if they wanted the city to survive, they needed to tell Washington right away. A courier carried Congress’s response from Philadelphia the very next day. Hancock’s directive instructed the commander in chief to ensure that “no damage [was to] be done” to the city, and, as Washington later recalled, “absolutely forbid” the burning. Within the fortnight, the British put Washington’s promise to the test. The final British assault began on September 15. The attack was as brutal as Washington feared. The American general struggled to keep his forces intact. The British onslaught continued hour after hour. Some of Washington’s men ran despite the leader’s orders to stay and fight. The shells raining down from Admiral Howe’s warships were more than Washington’s men could stand. With the shrieks of the frightened civilian populace adding to the frenzy, Washington at last called for a formal retreat. His men finally fled. From his newly established position on Harlem Heights, Washington looked out upon the British encampments, much as Serle had, only a month before, surveyed the American tents arrayed across the water from his anchored British war vessel. The view was painful. New York City still stood. The congressional order had been respected. But the enemy was busy setting up quarters in the city for the bitter months ahead, and Washington’s men were without their former home. Six days later, Washington’s army headed out in search of a new encampment—the beginnings of a hellish journey that would soon take the troops across the Delaware River and ultimately on to Valley Forge. As the American forces left New York, smoke could be seen rising from the city in a great plume. The fire that ran through Manhattan on September 21 destroyed hundreds of houses. Some of the British and many of the loyalists blamed Washington. They noted the town’s bells had been taken and that their absence deprived the city of alarms that might have helped contain the blaze. They saw the traces of an American military plan to destroy the city in the course of the retreat. Others doubted Washington’s involvement in the burning of New York. They believed the fire an accident or the work of rogue agents acting on their own. That so much of New York survived indicated that the fire was not the result of a military plan. Surely if there had been a conscious intention to raze the city, the fire would not have been so poorly set. As for the missing bells, they were made of lead. Their disappearance was thus likely due to fleeing Americans desperate for matériel for munitions. Washington, for his part, did not regret the burning. He later wrote that “Providence—or some good honest Fellow, has done more for us than we were disposed to do for ourselves, as near One fourth of the City is supposed to be consumed.” But, by noting that the fire had resulted from efforts the rebels had been unwilling to undertake on their own, Washington confirmed the key thing: He had played no role in bringing about the destruction. He had given his word to Hancock that he would do nothing to destroy the city that Congress wished to spare. And he had kept that promise. New York did not mark the last time that Washington found himself at odds with Philadelphia over the conduct of the war. Nor was it the last time that he would submit to Congress in a clash over tactics in the midst of hostilities. No sooner had Washington begun to lead his men from Manhattan and eventually across the icy waters of the Delaware, than yet another conflict with Congress over tactics erupted. This new disagreement also pitted tactical imperatives against larger strategic judgments. But now Washington favored the more humane and prudent approach, while Congress pressed hard for a more aggressive course of action. The immediate cause of the dispute was the incautious behavior of one of Washington’s fellow officers, Charles Lee. A former British solider, Lee was once a serious rival for the title commander in chief. Well schooled but slovenly, the long-faced Lee ultimately lost out to the tall gentleman from Virginia. Lee never reconciled himself to his defeat at Washington’s hands. Lee’s enduring envy of Washington’s title as chief commander eventually led to a dramatic battlefield confrontation between the two men and, ultimately, Lee’s own court-martial for misconduct. Before his shocking downfall, though, there was this earlier wartime incident, which briefly made Lee a hero and caused Washington no end of grief. The trigger for the dispute was an unexpected American triumph. In the first true battle of the Revolutionary War, and before the rebels had even declared their independence, Washington’s men had withstood a furious British assault on Boston. Those under Washington’s command had performed well enough to capture hundreds of the king’s soldiers. Archibald Campbell was among them. He was an officer in the 71st Regiment of Highlanders, a force of Scotsmen devoted to aiding the Crown. But the Americans were ill prepared for their unexpected victory, and they lacked a plan for quartering their newly captured prisoners. The Continental Congress stepped into the breach. Campbell and seven fellow Scotsmen were to be sent to the Massachusetts town of Reading. There they were placed in the home of an American captain, Nathan Parker, for safekeeping. For a time, Campbell and his fellow soldiers seemed almost to enjoy the stay. Upwards of twenty servants attended to their needs. The prisoners roamed freely within a six-mile radius of the Parker homestead. Over time, however, the Americans’ willingness to accommodate the “luxurious habits” of the “gay, red-coated strangers” and their “outlandish costume and music” wore thin. The guests began to “offend the frugal, self-denying farmers” of the area. Even still, things proceeded in a relatively happy fashion until the winter of 1776, when, after New York’s devastating fall, American fortunes declined further. Adding to the discouraging cascade of bad news was the report that the British had made an important capture of their own. General Charles Lee had broken camp in search of drink, and more comfortable quarters, at Widow White’s Tavern in Basking Ridge, New Jersey. The enemy took Lee into custody in his dressing gown on the morning of December 13. Ignoble as Lee’s capture was, his detention fast became a rallying point for rebel opposition. Rumors of his vile treatment spread with the word that the king had ordered Lee returned to England to be tried before a military tribunal. As it happened, General Howe chose to keep his prize captive on this side of the Atlantic. But that did not soothe the rebels. Calls for reprisal grew louder, if only to drown out the disappointment of the British victory in Manhattan and the string of defeats that the rebel forces endured in its wake. Feeding off the anger, the Continental Congress stepped forward to defend American honor. The members of Congress had recently fled Philadelphia for Baltimore, in part to evade mutinous American soldiers. Before departing, the representatives had temporarily handed over full power to direct the war to Washington. But now, organized as a working body once again, the members of the Continental Congress reasserted control. Lee had been improperly denied parole and “committed to the custody of the provost,” Congress declared. It was “a treatment totally unworthy of that gentleman’s eminent qualifications, and his rank in the service of the United States, and strongly indicative of farther injuries to his person.” To meet this outrage, Congress directed Washington to inform General Howe that, if he did not accept a prisoner exchange, Campbell and the others would be subject to the “same treatment” as had been inflicted upon Lee. Washington did not welcome the order. He complied with it nonetheless. Perhaps he counted on General Howe to see through the political posturing. Then, six months later, Congress weighed in on the matter once again. This time, Congress ordered Campbell and the others to be put “into safe and close custody, it being the unalterable resolution of Congress to retaliate on them the same punishment as may be inflicted on the person of General Lee.” By the time the new order came down, Archibald Campbell had been removed to a wooden jail—two stories high, with a four-sided roof—in Concord, Massachusetts. The sheriff of Middlesex took control. The highest-ranking enemy officer in American custody, Campbell found his new surroundings appalling. Only days after arriving in his new locale, Campbell wrote directly to General Washington. Campbell echoed Ambrose Serle in doing so. “From the powers which I have lately understood has been reposed in y’r Excell’y as dictator,” Campbell wrote, “and from the character I have always entertained of y’r generosity of sentiment, I am naturally led to use the freedom of troubling you with the complaint of an officer, who suffers at this instant a treatment more dishonorable & inhuman than has ever existed in the annals of modern war.” The letter proceeded to detail the deplorable conditions: “I am lodged in a dungeon of about 12 or 13 feet square, doubly planked and spiked on every side, black with the grease and litter of successive criminals & completely hung around with cobwebs.” Campbell was particularly outraged by the denial of “the attendance of a single servant on my person.” The last complaint reflected how far he had fallen. Washington was sympathetic to Campbell’s plight. The chief commander believed Congress’s harsh approach to the treatment of British captives would taint America’s image abroad. It might also inspire retaliation against his own soldiers. And it offended his sense of decency. But Washington offered little in the way of direct help to Campbell. Washington would work to defuse the situation, but he would not defy the will of Congress. And he certainly was no dictator. Of that, he wanted Campbell to be sure. On March 1, Washington responded in an extraordinary letter—commanding general to captured enemy prisoner. “I am not invested with the powers you suppose,” Washington wrote. “It is as incompatible with my authority, as my inclination, to contravene any determination Congress may make.” Washington admitted, however, that, in his view, Campbell’s harsh treatment did not seem to be “required by any resolution” of Congress, as Lee had not been harshly treated. Washington informed Campbell that he had told the relevant Massachusetts officials as much. And so Washington had. The harsh treatment was not required, Washington explained, even “upon the most strict interpretation” of the congressional resolution. Lee, after all, was not being treated any worse. On that point, Washington’s judgment was right—at least if one is to believe a Tory historian who researched the matter some years later. General Lee had been housed in the council chamber of New York’s City Hall. He was permitted each night to order from a local public house a dinner that was big enough for six men, with liquor to boot. But still, Washington did not order anyone to do anything. Even if Campbell’s treatment was wrong, Washington wanted it known, Congress’s word still controlled. The commander in chief did, however, begin pressing the Continental Congress to back off. He urged reversal of the orders of retaliation. The orders “[would] not have the desired effect . . . and will if adhered to, produce consequences of an extensive and melancholy nature.” Worried about a spiral of abuse, Washington explained that retaliation was “not justified by any [mistreatment] that Genl. Lee has yet received.” But here, too, Washington merely offered his views to Congress in hopes that they might influence Hancock and his men. The standoff did not end until mid-August of 1777—nearly a year after Washington had led the retreat from New York. Congress at last let Washington propose a prisoner swap. Nine months later, the deal was done. Lee was freed, and Campbell, too. But while Washington was relieved to have the Campbell affair behind him, Congress remained an obstacle when it came to the treatment of enemy prisoners. Washington believed it was his duty to negotiate for the prompt release of his men as the war progressed. He also thought that obligation required him to free the British soldiers that were held by the Americans. That was the only approach likely to make such deals possible. Congress, however, sought more favorable terms than the commander in chief was willing to demand of the British. As a result, Congress scotched proposed agreements for prisoner exchanges on a number of occasions. Each time, Washington accepted Congress’s right to have the final say. It was no different no matter the tactical issue at hand. Throughout the war, the first commander in chief remained committed to the principle that the Continental Congress was supreme—so much so that he orchestrated his final day in uniform to honor that principle one last time. By December of 1783, with the war at last won, Congress—then operating under the Articles of Confederation—had fled Philadelphia once again. Revealing the perils of independence, the members of Congress had skipped town to avoid yet another advancing band of mutinous American soldiers, this time demanding pensions. For its new quarters, Congress had selected the senate chamber of the Maryland statehouse. It sat atop a hill in the bayside town of Annapolis. Attendance at its sessions was typically poor, but it was strong on this day—Washington’s last as commander in chief. He would not remain one for long. 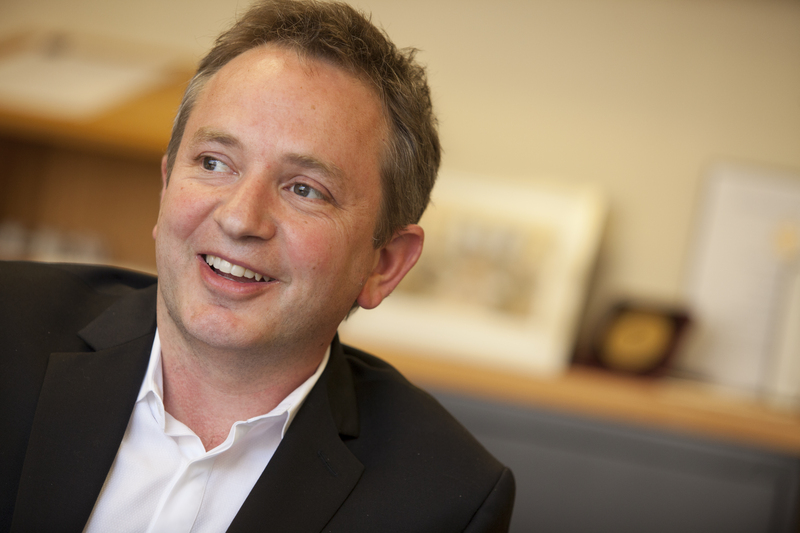 David Barron is a United States Circuit Judge for the United States Court of Appeals for the First Circuit and former S. William Green Professor of Public Law at Harvard Law School. He previously served as the Acting Assistant Attorney General of the Office of Legal Counsel at the United States Department of Justice. He is coauthor, with Martin Lederman, of the article “The Commander in Chief at the Lowest Ebb” and the author of Waging War. "[Barron] chronicles the centuries long push/pull between the executive and the legislative branches over the conduct of America's wars. . . . smoothly readable prose, with a sure grasp of the big picture . . . A first-rate history filled with revealing incidents and informed analysis." "Barron reveals, since the birth of our nation there has been a constant tug-of-war between Congress and the president. Given the current election cycle, this interesting, well written work is a worthy, timely read." "With an ambitious sweep and brimming with subtle insights, ‘Waging War’ ultimately is a deep history and a thoughtful inquiry into how the constitutional system of checks and balances has functioned when it comes to waging war and making peace. Barron’s argument — bolstered by a sure grasp of constitutional debates and the ongoing struggles pitting the executive against the legislative and judicial branches — is both surprising and oddly reassuring. Members of Congress in particular would do well to absorb it."